Eritrean officials are expected in Ethiopia's capital this week in a rare diplomatic meeting between the hostile neighbours, Ethiopian state media said on Monday. "A high-level Eritrean government delegation will arrive in Addis Ababa this week," state-affiliated Fana Broadcasting Corporate reported, without giving further details. Eritrea and Ethiopia have been bitter foes since fighting a frontier war between 1998-2000 that killed 80 000 people. Animosity continued as Ethiopia refused to abandon territory handed to Eritrea as part of a 2002 border demarcation. But this month Ethiopia's prime minister Abiy Ahmed said he would now accept the demarcation, prompting Asmara to announce an official visit to Ethiopia. A former province of Ethiopia, Eritrea voted for independence in 1993, rendering Ethiopia landlocked. 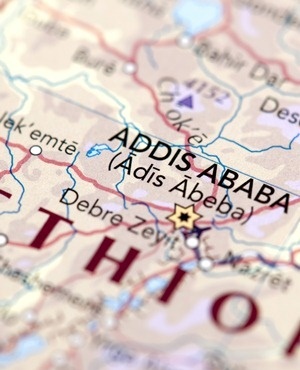 Abiy took office in April after years of political turmoil and anti-government unrest in Africa's second most-populous country. He has since pursued an ambitious reform agenda including liberalising the economy and releasing jailed dissidents. The Eritrean meeting has been scheduled despite a blast on Saturday at a pro-government rally where Abiy was making a speech. Two people were killed and 150 people injured. The state media on Sunday reported 30 people had been arrested on suspicion of involvement, in addition to nine police.